John Rees, Senior Partner at Winckworth Sherwood, has been awarded the prestigious Canterbury Cross award for services to the Church of England. 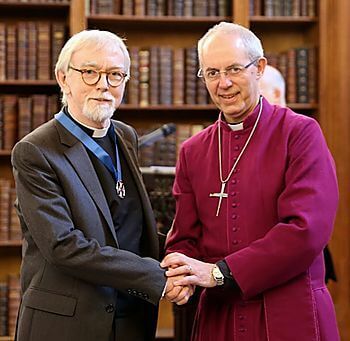 John was presented with the award by the Archbishop of Canterbury at a ceremony on 9 June 2017. The Archbishop’s citation read that ‘John’s contribution to the Church of England as both a lawyer and a priest has been outstanding’. The Canterbury Cross itself is modelled on the design of a Saxon brooch dating from ca. 850 that was found in Canterbury in 1867 and symbolises the Christian faith. Many congratulations to John on this great achievement.